If an image embedded inline is too big when displayed in a browser, you can use "width" and "height" attributes to reduce the image's display size. 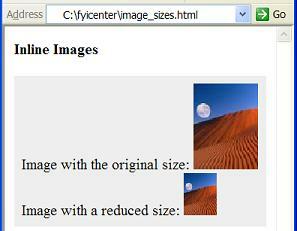 The display width and height should be proportional to the actual width and height of the image. Otherwise, the image will be displayed with a distortion.